Presentation on International Forum "Open Innovations"
Dear colleagues, investors, partners, customers, friends and everyone who is interested in the DNA decoding! 02.07.2018 - a significant day for our project, the transition from the Proof of concept - the elements of the sequencing technology (DNA decoding), confirmed by experiments – towards creating a layout of the key nodes of the sequencer working on this technology. First of all, I want to express my gratitude and admiration to the team of the project, we managed to create a team united by the idea, each employee, with his/her involvement and professionalism, brings the common success daily. In the next 365 days, it is planned to create a layout of the key nodes of the sequencer and demonstrate the sequence (the capabilities of our technology for recognizing the nucleotide sequence of DNA). Numerous laboratory and numerical experiments conducted during previous years, including software processing (the program of logic-mathematical 3D modeling of the DNA polymerization reaction, a certificate for a computer program received) proof the feasibility of the technology. For today, we have closed the pre-seed investment round, the financial support of the Skolkovo Foundation and co-investors (thanks to everyone who believed in success!) provides us with the opportunity to organize our own laboratory at Skolkovo Technopark. This is where our device will be created. Today the laboratory is empty – we’ve shot the first video, where you can see it. The quarter will pass and we will place the video lab already in operation, with a full set of equipment. Next we will be happy to inform you regularly about our progress here, on the site and on our page in FB. DNA-sequencer – is a device for DNA molecule decoding. The DNA molecule is separable from blood, saliva, skin or hair. Such molecule carries the complete genetic information about an organism. Michael Gutorov brings 25 years of experience in engineering electronic devices, including charge-coupled devices and micro-controllers; schematic engineering, and engineering of integrated circuit topologies. He obtained a patent for DNA sequencing and a device for its implementation in 2015. Gutorov has authored more than 20 scientific publications. 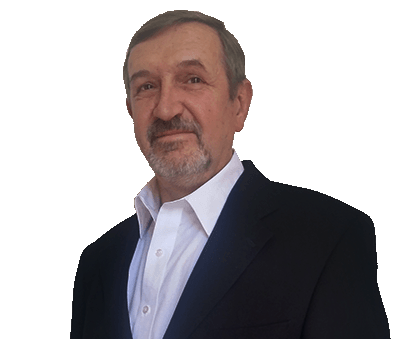 With his extensive experience managing scientific teams, Gutorov is in charge of organizing processes at all stages of the project including the development of the Sequencer, intellectual protection, manufacturing, regulatory approval, and risk and prospect monitoring. Gutorov graduated from the Moscow Institute of Physics and Technology (MIPT) with a degree in Automatic and Information Devices and from the National Research University of Electronic Technology, Moscow, Russia. As the former top-manager of huge investment companies and foundations as well as the founder and managing partner of PMC.Ventures, Ms. Matveyeva, brings 15 years of investments and development experience leading more than 90 startups (2/3 in high-tech) funded in the range of $1M to $600M with success stories of project companies in the market. 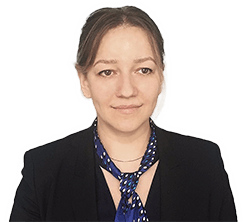 Matveyeva has extensive ties in the Russian venture capital universe, with government agencies, and with scientific institutions. Ms. Matveyeva has a B.S. in Diplomacy and Regional Studies from Moscow State University of International Relations (MGIMO) followed by an M.S. in Finance from Plekhanov University of Economics, and a postgraduate fellowship in World Economy from MGIMO. 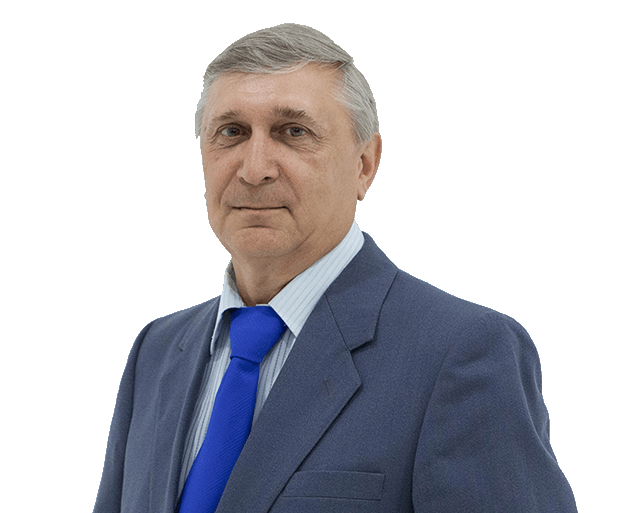 Dr. Bashkirov’s team is responsible for the sequencing methodology development and refinement. 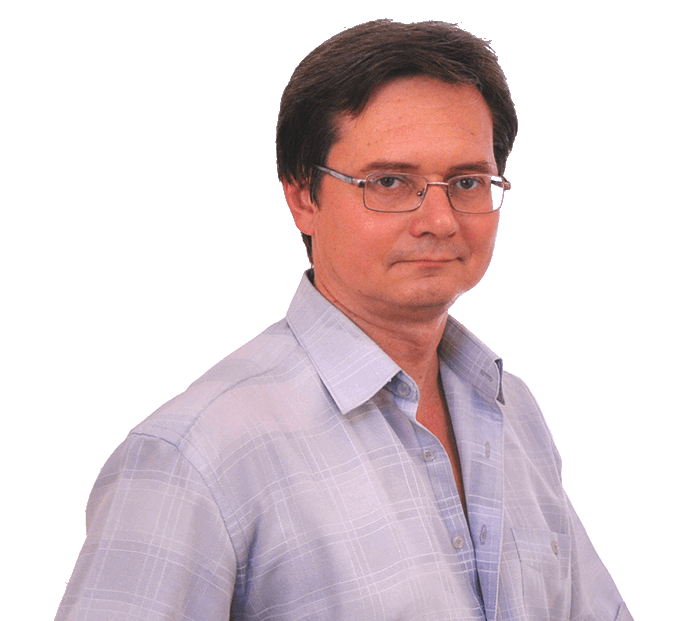 As an expert in molecular biology, microbiology, genetics, and genomics with extensive experience in developing applications for modern genomics and their integration into diagnostic systems, Dr. Bashkirov has published more than 50 articles in peer-reviewed media (h-index 14) and holds 8 patents in the biotech industry. In his prior positions, Dr. Bashkirov made a key contribution to the development of biology and chemistry of DNA sequencing for such well-known platforms as SOLiD (Applied Biosystem/Life Technologies), REVOLOCITY (Complete Genomics), as well as the single-molecular StarLight platform (Life Technologies). Dr. Bashkirov was named Howard Hughes Medical Institute International Scholar from 1995 through 2005. His research work at Applied Biosystems has earned him DNA Awards in 2006 and 2008, and the 2008 Top Patent Application in Engineering Award. Bashkirov holds a degree in Biophysics from Russian State Medical University in Moscow. 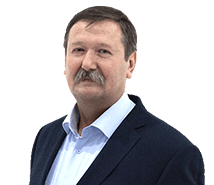 He has a Ph.D. in Molecular Genetics from the Vavilov Institute of General Genetics of the Russian Academy of Sciences and a Doctor of Science in Molecular Biology from the Institute of Molecular Biology of the Russian Academy of Sciences. Kolesov has spent more than 25 years on development and study of physical properties of composite nanomaterials and coatings for electronics, photonics, and alternative energy; development and research of monomolecular biosensors based on protein-enzymes; and development and study of one-electron tunneling devices for the elemental base of molecular electronics. He holds 4 patents on tunneling devices and has authored more than 40 publications (h-index 9). Kolesov graduated from Moscow State University with an undergraduate degree followed by a Ph.D. in Physics and Mathematical Sciences. Manturov brings 25 years of research in the field of radiophysics, mathematical modelling of electronic, radiophysical and biological systems, and the creation of a non-lens shadow tomographic microscope for biological applications. He has published more than 70 peer-reviewed articles, incl. more than 20 of them on DNA sequencing theme and holds several patents related to biological and biophysical subjects. Manturov graduated from Saratov state university ("Radiophysics and Electronics"), holds a Ph.D. in Physics and Mathematical Sciences from Yuri Gagarin State Technical University of Saratov and an academic status of associate professor in the department "Software of computer facilities and automated systems". 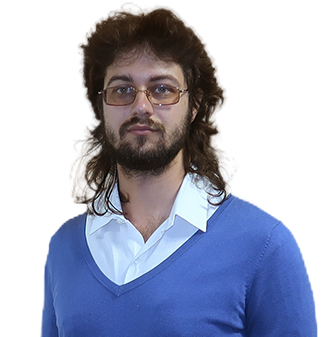 Anton Grigoriev joined Gamma-DNA with the expertise developing key programming solutions for such giants as NetCracker, Mirantis and Telstra. Prior to that, he held engineering roles at huge international companies. Sequencing technology being his primary scientific focus, Grigoriev has authored or co-authored 13 academic publications. Grigoriev graduated with a degree in Software and Automated Systems from the Yuri Gagarin State Technical University of Saratov and completed postgraduate studies in Mathematical Modeling, Numerical Methods, and Programming Complexes. Professor of Genetics and Genomics at Georg August University of Göttingen, Germany; Adjunct Professor of Genetics and Genomics at Texas A&M University, USA; Leading Scientist at the Vavilov Institute of General Genetics, Russian Academy of Sciences, Moscow, Russia; Professor and Scientific director of Genome Research and Education Center at Siberian Federal University, Russia. Over the course of his 35-year career in genetic research and DNA sequencing, Krutovsky has successfully led more than 30 scientific projects, was garnered numerous awards, among which are a mega-grant of the Russian Government in 2014; a U.S. Department of Agriculture (USDA) Secretary's Honor Award as a member of the Conifer Translational Genomics Network (CTGN) Coordinated Agricultural Project in 2011; and a Medal of All-Union Exhibition of People Achievements in Forest Genetics, Tree Improvement, and Management in 1987. Krutovsky has authored 370 scientific publications (h-index 30). Professor of the Department of Cytology and Histology at St. Petersburg State University; Deputy Director of the Center for Algorithmic Biotechnology at St. Petersburg State University; Scientific advisor and member of the supervisory board of the Institute of Bioinformatics; Co-organizer of GEBA-10K Genomes Project; Coordinator and Program Manager of the Genomic Assembling at the Joint Genome Institute (JGI) of the National Laboratory of Lawrence Berkeley, (LBNL-JGI), USA; Associate Professor at the Institute of Personalized Medicine, Fox Chase Cancer Center (USA). Lapidus brings 35 years of experience in scientific research in Russia and the U.S. in the field of genetics, genomics, bioinformatics and personalized medicine. She holds numerous awards: Elsevier Scopus Award for Outstanding Achievements in Biology (2015); Top100 Most Productive Scientists in Biology (Russia, 2017); Fellow at the National Institute of Agronomic Research (France); Personal Grant Laureate for Outstanding Scientists from Soros Foundation. Lapidus has more than 350 publications and patents (Web of Science h-index 58, Google Scholar h-index 65). Grigoryan has spent more than 20 years in the field of foreign trade working for the Russian and Austrian IBM branches followed by over 10 years in consulting high-tech startups on business development and capital raise. Laura brings to the project expertise in the organization of work and development of a growing and large business in accordance with the best international practices. Grigoryan graduated from the Maurice Thorez Institute of Foreign Languages with a B.A. in Intercultural Communication followed by an M.B.A. in International Business from Moscow State University of International Relations (MGIMO).